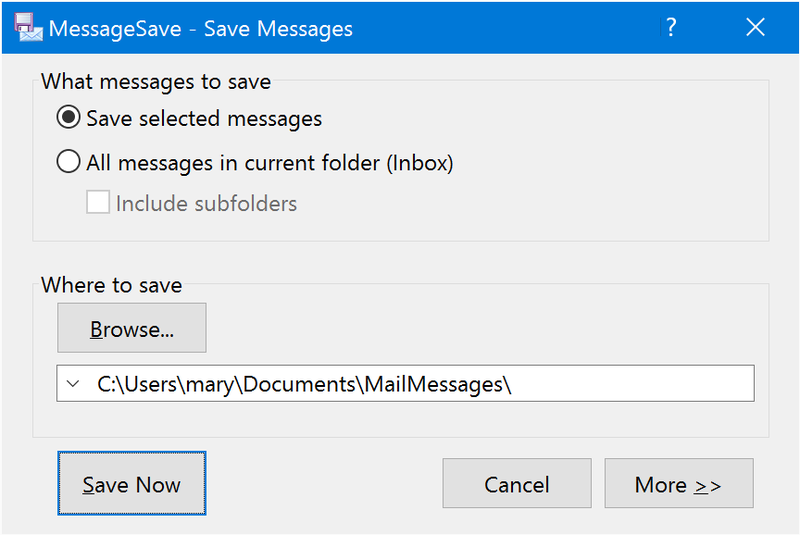 Here we show MessageSave in Basic Mode, to illustrate how easy it is to use it. You can learn about advanced functionality in the User Guide. 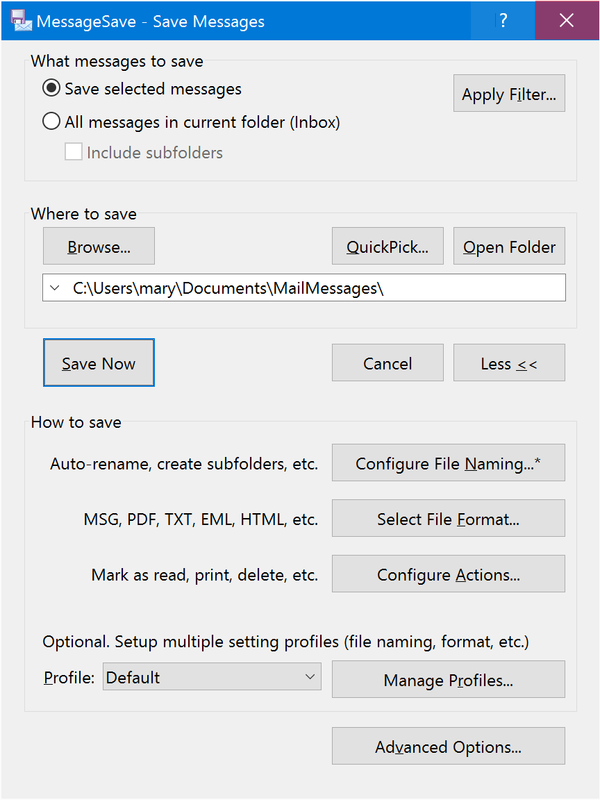 MessageSave populates additional Windows Explorer columns, such as "Sender Name", "Date Modified", "To", "Cc", "Has Attachments", "Categories", etc. Learn more in the User Guide. 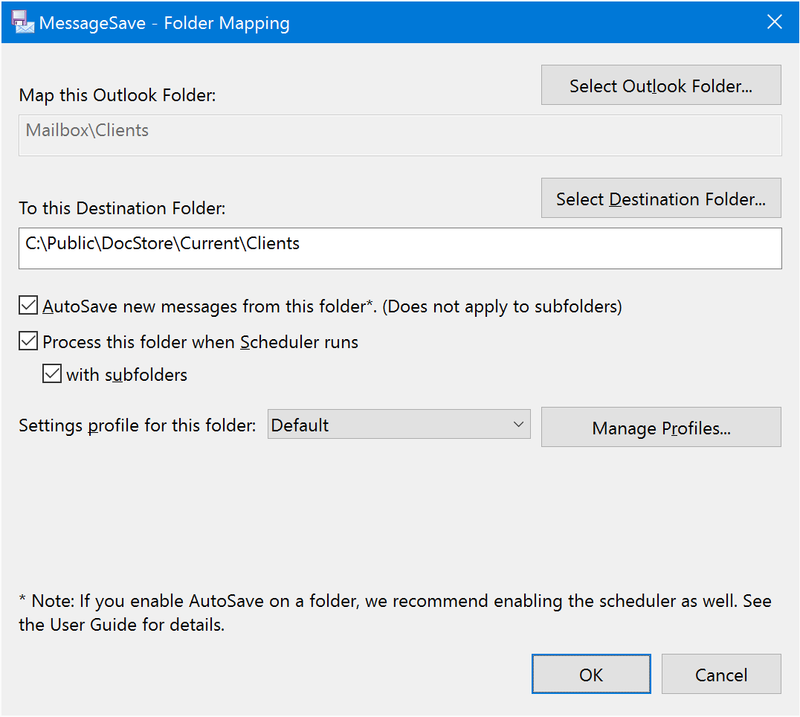 Mapping Outlook folders to destination file folders supports automatic unattended email saving.